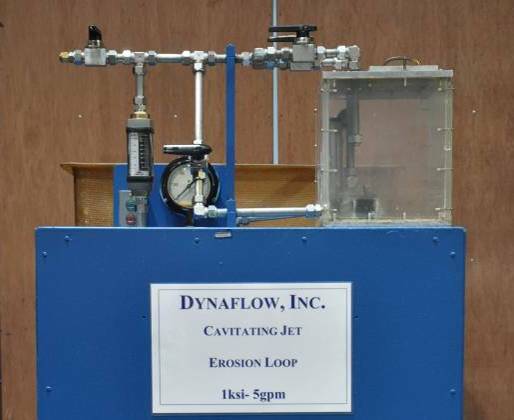 Cavitation Erosion | Dynaflow, Inc.
DYNAFLOW can conduct ASTM G32 test and its modifications depending on customer’s needs. 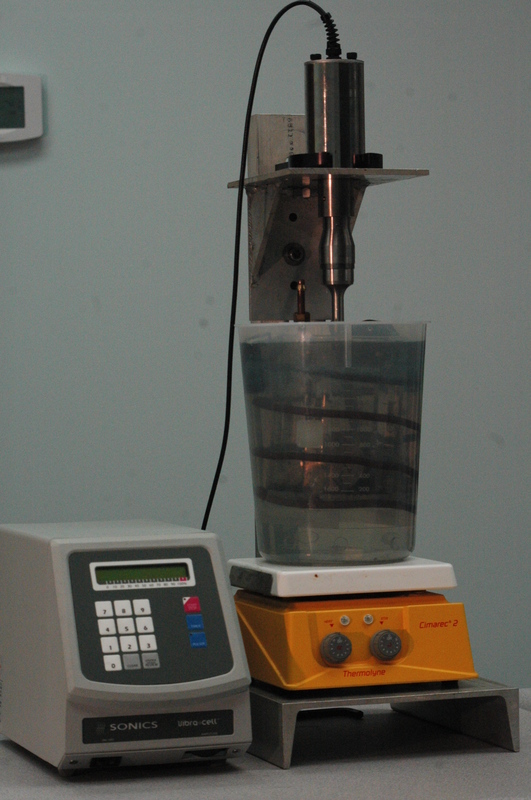 These tests can be conducted under controlled ambient temperatures and with a variety of liquids. In ultrasonic cavitation tests, the cavitation is generated by a vibratory device employing a magnetostrictive ultrasonic horn. 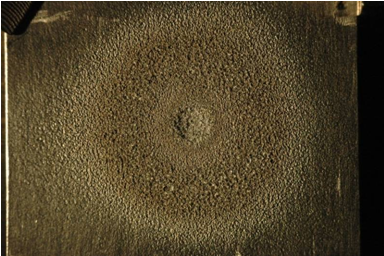 A sample “button” of the material being tested is affixed to the end of the horn (or at a small distance from it) and is subjected to cavitation resulting from the vibrations of the horn (14-20 kHz). A cavitation cloud forms at the tip of the horn, and the bubble cloud dynamics resulting in bubble growth and collapse.